In 2019, the Air Force Tuition Assistance Program (commonly referred to as “Air Force TA”) still remains funded funded, and continues to be one of the best ways to pay for higher education expenses. You can think of Air Force TA as essentially the opposite of the Air Force’s Student Loan Forgiveness Program, since TA pays for school-related costs before they become debt. TA can be used for either professional or personal education expenses, but it isn’t available to everyone, and it is only available for certain types of education costs too. TA benefits will cover “up to 100% of tuition and fees for courses”, but that comes with a catch. TA payments are doled out based on the number of credit hours you’re taking, and there’s a limit to how many credit hours the program will cover each year, along with an annual fiscal year maximum that TA will pay out. Additionally, you’ll only be eligible to receive about $4,500 in TA funding for the entire fiscal year, which is the time period between October 1st, and September 30th. Accordingly, you may need to do some fancy planning to make sure that you don’t spend too much during that period of time. Keep in mind also that TA funding can only be used for tuition and other up-front expenses required for enrollment in qualifying courses. And finally, you should know that TA benefits aren’t given to you in cash which you can then use to pay for these things, but distributed directly to your educational institution. 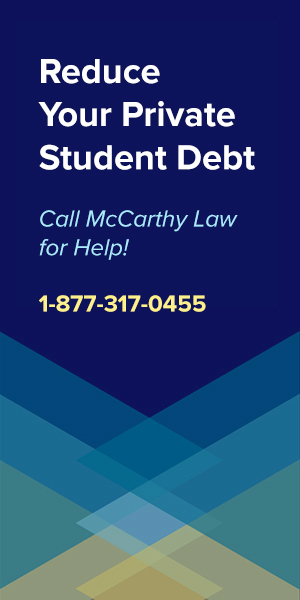 Get Help With Your Loans! If you're truly struggling with student loan debt, then you should consider paying a Student Loan Debt Relief Agency for help. Why? 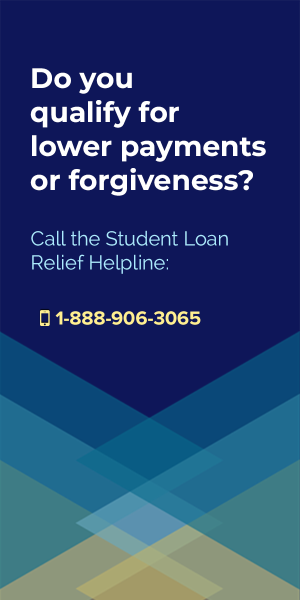 Because the people working at these companies deal with student loans all day, every day, and they're your best chance at figuring out how to get your loans back under control. 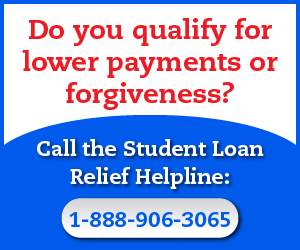 For help with Federal Student Loans call the Student Loan Relief Helpline at 1-888-906-3065. 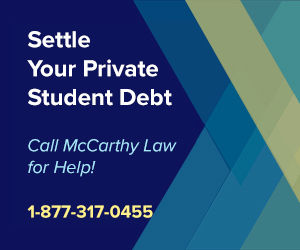 They will review your case, evaluate your options for switching repayment plans, consolidating your loans, or pursuing forgiveness benefits, then set you up to get rid of the debt as quickly as possible. For help with Private Student Loans call McCarthy Law PLC at 1-877-317-0455. 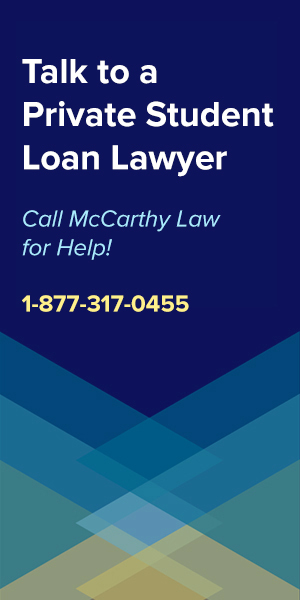 McCarthy Law will negotiate with your lender to settle your private loans for much less than you currently owe (typically 40%), then get you a new loan for the lower, settled amount so you can pay off the old loan, repair your credit and reduce your monthly payments. 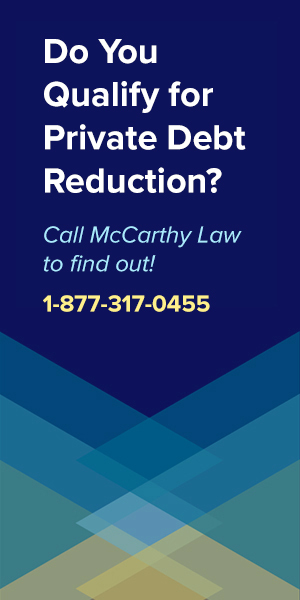 I've spent 10 years interviewing debt relief agencies, talking to all sorts of "experts", and these are the only two companies that I trust to help my readers. If you have a bad experience with either of them, please make sure to come back and let me know about it in the Comments! What Costs Qualify for TA Funds? The TA program was created to pay for tuition and enrollment fees, but it can also provide funding for other required costs, like materials fees, lab fees, and such. What If $4,500 Doesn’t Cover All My Costs? Depending on where you choose to go to school and what type of program you’re enrolling in, there’s a pretty good chance that $4,500 might not be enough to cover all your costs for this fiscal year. If that’s the case, you should look into other education benefits programs, like the Tuition Assistance Top-Up Program, general Post 9/11 GI Bill benefits, the Yellow Ribbon Program, as well as military grants and scholarships to come up with additional funds. Honestly, there’s no reason that you should end up spending money out of your own pocket, because there are tons of education-related financial assistance programs for military personnel. Who is Eligible for Air Force TA? Not all schools qualify for the USAF tuition assistance program, but most colleges and universities that have either regional or national accreditation, and many vocational or technical schools will. The official rule is that the school you want to use TA at must be accredited by an agency recognized by the U.S. Department of Education. You can find a list of accreditation agencies here. You don’t have to check the list though, because you’ll be able to find out if your school qualifies for the program while you’re filling out the official application on the Air Force’s website. As you go through the application, you’ll be asked to choose your school from a drop-down menu. If your school isn’t listed there, then applying becomes a bit trickier, and you’ll have to end up doing it in person at your base’s Education Office. However, if your school isn’t listed there, then it may be a better decision to apply and attend somewhere else, as any online school that hasn’t received official accreditation by now is seriously behind the times. 100% of high school completion programs, GED and equivalency programs qualify for the tuition assistance program, but most airmen are likely to be using their TA benefits for higher education programs. The good news is that basically all college-level courses, degree programs, certificate or certification programs will qualify for TA benefits, as long as those programs are being offered at a qualifying institution. Also, it doesn’t matter if the course you’re taking is a traditional in-person classroom course, or offered 100% online, as there are specific provisions making TA available to distance learning students. How Can I Apply for USAF TA? The best news about the TA program is that the entire application process can be handled online, through the Air Force’s online portal. Provide the beginning date and end date for the course term that you want to use TA to pay for. Don’t enter the start and end date of the course, but the actual term. Note that these may be different. Provide the course information from the pre-populated course catalog. If it’s not available in there, then enter it manually. You’ll need to include the course number, dates, etc. Keep adding courses until you’ve got all the courses you plan on taking entered on the form, and if you’re taking courses from multiple schools, then keep in mind that you’ll have to submit a different TA form for each institution. Choose your registration fees from the drop-down menu. Verify that all the data you input is accurate, then submit your form. You’ll get an email notification saying that it was received. If your request is approved, you’ll get a form containing both your digital signature, and the digital signature of whoever approved your request. You’ll need to forward this to your school. Once everything is set up, make sure to keep in contact with your base Education Center in case anything changes. If the class is cancelled, you decide to drop it, or something else happens, you’ll have to work with them to make sure that all the details are updated accordingly. Failing to take care of things in time can result in you being forced to reimburse the Air Force for funds that they think you wasted. The Air Force (and more importantly the U.S. Government) doesn’t want these funds being wasted, so if you screw up with the money they give you, you’ll end up having to pay it back. 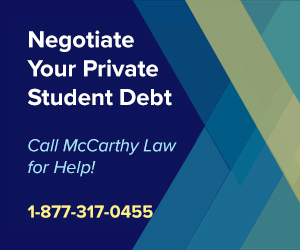 Any non-reimbursable fees for any courses that were cancelled, dropped out of, etc. If you’re not sure that you can complete the class, don’t think you’ll be taking it seriously, or foresee any problems with getting yourself a passing grade, then you shouldn’t apply for TA funding, because you’ll end up paying for it out of pocket later on. For additional information about AF tuition assistance, contact your base Education Office. They’ll be by far your best bet for getting accurate, current information. We also suggest reviewing our Military Education Benefits Guide, which will teach you how to leverage your benefits for maximum value. And for quick questions, feel free to reach out to us in the comments section below. We’ll do our best to answer any questions within 24 hours. Please consider helping me spread the word about the Air Force’s Tuition Assistance Program! You might be surprised to hear that many Airmen still have no idea that this program exists, but that’s the reality of the situation, and it’s a situation that we need to address. Please share this page with your friends, family, and especially your fellow service personnel. The more Airmen who sign up for the program, the harder it’ll be for Congress to de-fund it when the next round of budget cuts come around. Thank you for visiting my site, and thank you so much for your support. I really do appreciate the help! 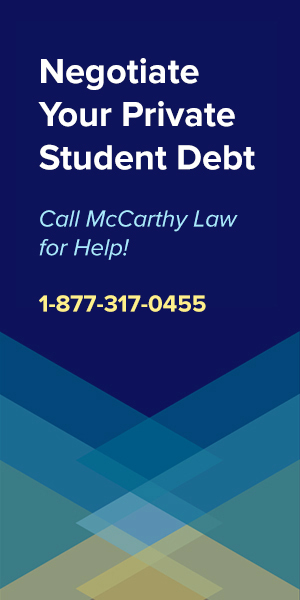 Disclaimer:Information obtained from Forget Student Loan Debt is for educational purposes only. You should consult a licensed financial professional before making any financial decisions. This site receives some compensation through affiliate relationships. This site is not endorsed or affiliated with the U.S. Department of Education. 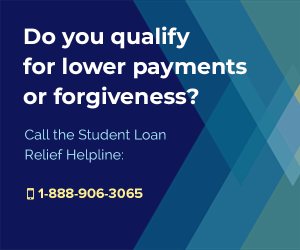 Tim's experience struggling with crushing student loan debt led him to create the website Forget Student Loan Debt in 2011, where he offers advice, tips and tricks for paying off student loans as quickly and affordably as possible. Has anyone heard of AFTA for first time users, not paying for a full time student during the initial set of classes? I am currently in the end of my Bachelors degree program and I have been told that my Education office will only allow first time users of AFTA to be eligible for 1/2 of their classes initially so members can feel out the rigors of a full course load before moving further with AFTA. Meaning I take 2 accelerated courses at a time already, and this is my first time applying for AFTA, but they will only pay for one course for this next session…. Is that regulation or local base policy? That’s a good question – I am not sure if this would work or not, but my thinking is that yes you should be able to use TA for that. I would try contacting someone at the VA to see if they can verify, because getting it wrong would obviously cost you a ton of money. TA will not pay for “lateral” degrees regardless of how they were funded. Your best bet is to get your Masters in the field you want and have them add any prerequisites to your degree plan so that TA will pay for it. 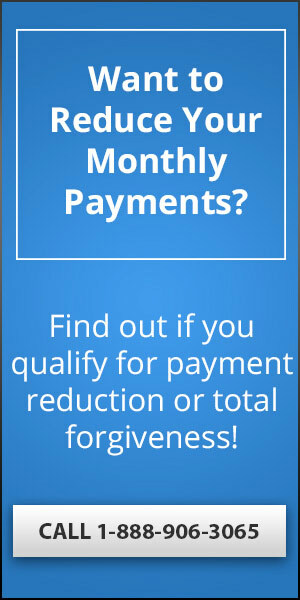 But of course, they’ll only pay up to a certain amount of credit hours. If you’re using your post 9/11 or GI bill, that’s different, you can use that for another bachelor’s degree. I’m applying for AF TA and my school only allows me to choose from the course catalog . It will not allow me to upload my courses manually, what can I do. Only 3 of my 6 classes are listed on their catalog. Good question. I’m not sure how to make this work. The thing that worries me is that it sounds like the school needs to update their listings with up to date details. Maybe try contacting the Financial Aid Department and asking them how to proceed? I took some college courses before entering the military but want to retake a few to boost my gpa to appy for a medical commissioning program through the af, am I able to use TA for classes I need to repeat taken prior to joining ? TA doesn’t let you pay for classes you’ve already taken; it’s funds provided to pay for classes you want to take now, so it won’t work the way you’re hoping it would. Someone know that Becker CPA program quality for Air force TA ? If you fail a class and have to repay the TA, can you apply for TA again when you retake the course? I do think you can do that, but I’m not entirely sure. Some of the technical aspects of these programs aren’t ever published anywhere, so the only way to find out is to either try it, or contact someone official from the VA or DOD who can tell you exactly how it works. I would bet that they won’t know either though. You may just have to risk it. I had a masters before I came in… still no lateral (2nd masters) or PhD coverage? If you receive a C in graduate level courses you will have to reimburse TA as well. so even though you pass you still have to fully pay them back? Do you apply for TA every semester? Or all at once for the entire degree? I am a member of the Air Force reserves. I need to take one additional class in order to receive my CCAF degree. I need this for further promotion potential. The problem is that I already have a Master’s degree and I keep getting denied TA because of this. I was told as long as you are taking classes towards your CCAF requirement then TA would be approved. I have reached out to my unit’s Education Office and they have been of no help with finding an answer. What do I do? I can’t afford to pay out of pocket since I am paying for my son’s education and I am paying back some of my student loans now. I think you should contact the Student Loan Ombudsman Group to ask about getting a legal ruling on this. You can reach them here: 1-877-557-2575. I did some college before I joined the Air Force, Will I not be able to receive Tuition assistance If I have a 1.5 GPA? You’ll have to check the regulations of the program. If your GPA is lower than the required minimum, then you may not qualify for assistance. Contact your base Education Office to get details on that. I think you’ll need to cut them a check, but it’s possible that they might simply withdraw the funds from a future paycheck. In brief, your information is the most helpful of all the info on USAFR education benefits! Thank you. My son is a senior in college and joined the USAFR this summer for several reasons. It has been a great experience for him. He is now ready to finish his coursework for his BA degree. 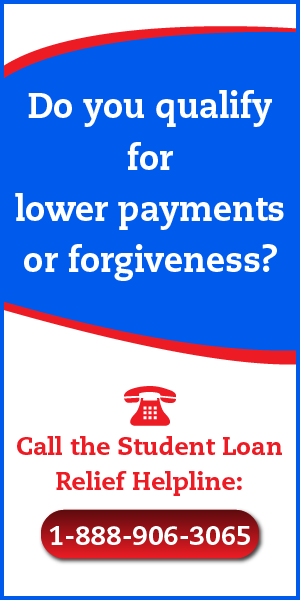 We don’t want to incur any more student loan debt. Can he use TA and MGISelectReserve simultaneously? If not do you know other grant programs to use along with either of the above? Thanks for the kind words! Your Son’s situation is a bit outside my wheelhouse – when it comes to Reserves benefits, I’m not as much of an expert as I’d like to be. I don’t want to steer you the wrong direction, so I would recommend that you contact his base’s Education Office to get a clear, authoritative answer on whether or not he can use both at the same time. I know that if military personnel want to use both the Post 9/11 GI Bill and some of the other benefits programs simultaneously, they have to agree to a longer service contract (6 years instead of the typical 4, for example). He may face a similar situation, but because I’m not an expert on the Reserve benefits, I don’t want to give you bad advice. There should be all sorts of other grant programs available to him, but the sad thing is that they will almost certainly be offered by private organizations and institutions, rather than the Federal Government. I would recommend spending some time on Google searching for phrases like “Scholarships for military personnel”, “Grants for military reservists”, etc. I would bet that you could find a list of them somewhere, and I am CERTAIN that there all sorts of opportunities out there worth pursuing. Forget Student Loan Debt Copyright © 2019.